Choosing to invest in a standing desk is a big commitment, so don’t commit. 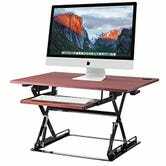 Instead, become a fair-weather desk stander with the Halter ED-257, now down to the shockingly low price of $80 (in the cherry wood color only). This desk comes pre-assembled; all you have to do is place it atop your existing workspace, and switch off between sitting and standing to your heart’s (and your legs’) content. But this isn’t a standing offer. In fact, it likely won’t be up for long. 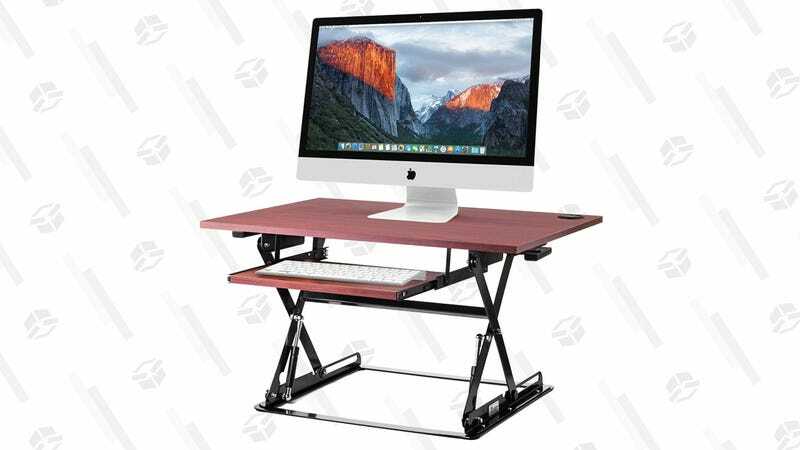 And while you’re at it, treat your feet to this cool standing desk mat, also on sale.